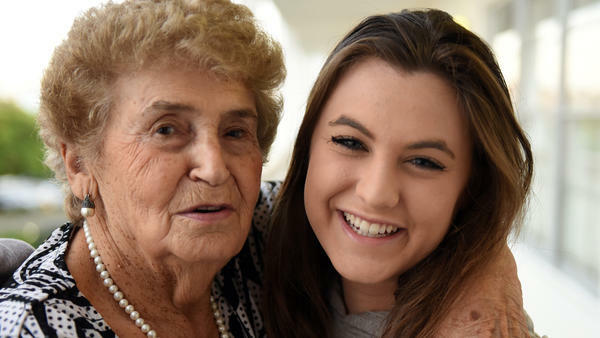 Some teenagers with a special interest in World War II are reaching out to a declining and often lonely South Florida community: Holocaust survivors. The teens, working through a new program, From March to Miriam, visit 25 survivors in south Palm Beach County once a month, accompanied by an adult and sometimes another survivor. The teens, many of whom traveled to Poland and Israel on a popular trip called the March of the Living, also call their survivor at least once a week as they work on developing a cross-generational friendship. Amy Freidus, a senior at Donna Klein Jewish Academy west of Boca Raton, is preparing to go on the March of the Living, a two-week spring trip for high school students that includes visits to the concentration camps of Eastern Europe followed by a week in Israel. Her great-grandparents were Holocaust survivors, and her great-grandfather, 96, is a survivor from Lodz, Poland, where Mond also lived.